Anthony Martial's double at Stamford Bridge showed the forward can "reach the very top", according to Graeme Souness. 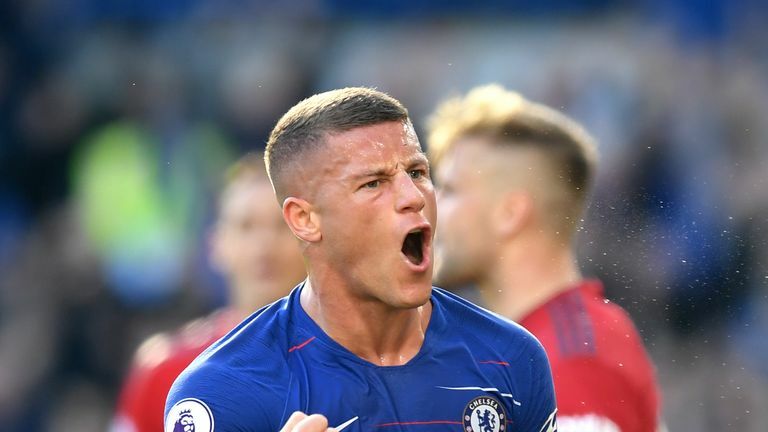 The Frenchman became the first player to score more than once against Chelsea this season with two fine second-half goals for Manchester United, the second a great individual finish after taking the ball away from Cesar Azpilicueta with his first touch. In his first campaign at Old Trafford, under Luis Van Gaal, Martial started 29 Premier League games, but he has managed just 40 in more than two seasons since. But even with that, no-one has scored more goals for the club since he joined in 2015, and Graeme Souness told Sky Sports the 22-year-old still possesses the potential to be named among football's elite players. He said: "As a manager, you're looking at players in training - he shows in matches as though he's not that bothered. Every day in training is every match. Highlights from Chelsea's 2-2 draw with Manchester United in the Premier League. Jamie Redknapp questioned why Martial had failed to earn more appearances under Mourinho - and kick on after an impressive first season at Old Trafford where he scored 11 goals as a 19-year-old. "It's very difficult, when you're in and out of the team as a player, to get any sort of rhythm. We don't know how he trains, but when you're not playing one week to the next it's difficult to get any real rhythm," he said. "If you're scoring two goals at Stamford Bridge, it tells you that you are a player. He's got to show that. He's had a tough time, he didn't make the World Cup squad. "When you look at him, we should be talking about him in the same breath as the lines of Sane. He should be playing regularly, and so should [Marcus] Rashford. "It would be a massive gamble to sell that boy. I wouldn't want him to go anywhere else, because he could make a real fool of you. The talent he possesses, the great United wingers we've seen over the years, he has the talent to be as good as any of them."